It is often seen that immigrant people residing in Canada have their children outside the country. This also happens in case of Canadian citizens and permanent residents. However, thanks to the country’s progressive approach, it offers unconditional citizenship to the children born abroad. With the aid of an experienced child sponsorship lawyer parents can bring in home their children living outside Canada. Hence, before applying for a child sponsorship application, the applicants must check all these factors mentioned above for a smooth transition. Post verification of the qualities, the immigration authorities will further process the application for permanent residence. Hence, this is a two-step process with less stringent formalities. The rule states that there is no minimum requirement for the sponsor to suffice. However, the authority will evaluate the sponsors’ asset/income to understand their capability for taking children’s responsibility on arrival. If the applicants are found to incapable to financially support their dependent children may face a rejection right away. So, it is always advisable to talk to a child sponsorship lawyer to avoid such an unpleasant scenario. Adopted: Adopted children outside Canada, and also the ones who will be adopted after arriving are eligible to have permanent residence. In some cases, they are also eligible to get direct Canadian citizenship. However, people need to take care of the fact that the adoption should obey the legal rules of both the birth country and Canada. Furthermore, the immigration authorities will minutely assess for a better understanding of the adoption process. If they find out that the adoption will serve no better interest & the child may be best catered in his/her home nation, there is a chance of rejection. Orphan of a close relative: This is another advantage where applicants have the right to sponsor an orphaned child of their close relative. However, the orphan needs to be an unmarried under 18 years. To fetch the permanent citizenship, the orphan needs to be siblings, nephew/niece or even grandchild of the sponsor. A big advantage is that not every foreign-born child needs to sponsor as some of them can be eligible for direct citizenship. This complied with the Citizenship Act on April 17, 2009. According to the norm, the first generation born abroad can automatically get Canadian citizenship or permanent residence. So, those who are planning to apply for a sponsorship in the near future may contact a professional child sponsorship lawyer for a successful process. Under the Criminal Code of Canada, a DUI offense is considered to be highly serious one. 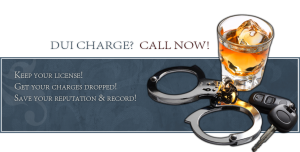 When a person is charged for DUI, it can lead to jail term as well as heavy penalty. Sometimes police officers of Toronto randomly pull over a car and checks whether the driver is drunk or not. It doesn’t matter whether a person is drunk or not. As soon as a person’s car is pulled over, the person has some rights. Criminal lawyers Toronto can help clients to know about these rights and responsibilities. For instance, as per the new Ontario regulations, police officials are banned from randomly stopping a car and carrying out checking. This is done in order to forbid police officers from collecting information about a person based on their race. What The Lawyer Points Out? DUI attorneys make it clear that a person whose car has been stopped has the complete right to refuse talking to the police officer. This reason is not enough for the police officers to detain the concerned person. According to criminal lawyers Toronto, the action of police officers shouldn’t be solely dependent on curiosity. There should be a reasonable ground for stopping a car randomly. For instance, if a police officer suspects a car of speeding because of drunken driving, then it should be proved in court. The court might ask the law enforcement official to show the report of the breathe test. However, DUI lawyer states that a police officer can’t stop a car just on the basis of profiling. If a police officer does so then the issue can be taken to court. At the court, one would need to prove that it violated the Charter rights. In this respect the Supreme Court of Canada rightly points out that the Charter Rights won’t get violated if a police officer asks for these things. 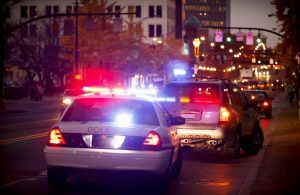 If a police officer stops a car without any valid reason, one should immediately get in touch with a DUI attorney. This is because searching without reason is considered to be a violation of a person’s right. 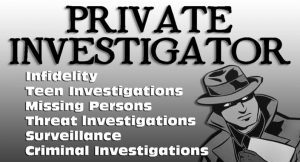 When one gets in touch with an experienced Criminal lawyers Toronto, the attorney will first of all look for the reason for which the search was conducted. If the police officer fails to provide a proper reason, the lawyer can build a strong case depending on Canadian Charter of Rights and Freedom. When in doubt, you should always get in touch with an expert lawyer. They can provide the best option available for your case so that the rights remain protected. Police officers can conduct random checks for catching impaired drivers. Impaired drivers can’t get the support of Criminal lawyers Toronto for stopping the police from conducting physical tests. The application management system of any country that involves and controls the number of applications from immigrants, refugees and citizens is generally termed as the express entry for the immigrants. This system also controls the number of permanent residence the immigrants get. You can get more details regarding the express entry system from Brampton immigration lawyer. Not every applicant of express entry pass the legal procedures at one go. Sometimes the application may get cancelled or rejected by the authorities. For that you need to take the help of a lawyer who is specialized in the legal procedures of express entry for the immigrants of any country. You might think that you have gone through all the processes that are needed to clear the immigration status. 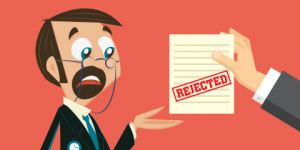 But there might be some minor mistakes which may be reason for your application getting rejected. You may also check the status of your application by going to a Brampton immigration lawyer. He may be able to tell you exactly what is wrong with the application. The reasons for the application getting rejected are as follows. The application that you have submitted might be incorrectly filled. The application may be incomplete according to the authorities. The documents that you have given may be wrong. The documents that have presented are not updated. All the necessary documents were not given. The application was not submitted within the deadline. Police certification was not there. After the application has been rejected you can definitely reapply for the immigration process again. Certain ways are there to reapply or to restore the application for getting the permanent residence or for immigration. You may take the help of immigration lawyer Toronto as he is the best person to know about the details of the proceedings. The ways by which you can reapply for the immigration are as follows. Rejections of the application can take place if you submit improper documents for the immigration process. You may take the help of Brampton immigration lawyer after the rejection but it is a time consuming procedure. Before submitting the documents try to find out the exact documents needed for verification. Here is a list of the documents that are needed for the process of immigration to any country. The appointment letter or the interview letter issued from National Visa Center. Passport which has not been expired. Photocopy of the biographic page of your passport. Required Legal and civil documents. Confirmation page from the immigration form.